Because you and your customers require the best quality. One idea lay behind the development of HI-MACS®: what would it be like to make a material similar to stone available to carpenters? A material that can easily be worked using existing traditional woodworking tools. A material that enables craftsmen to translate the most exciting visions of designers and architects into reality. Starting to work with HI-MACS® is easy. As a woodworking expert, you only need to open your workshop to find everything you need: talented craftsmen and tools for working with hardwood. That's all you need to saw, drill and sand this material. And if you have a pre-heating oven or a heating press, then you'll also find it much easier to heat up the material for thermoforming. That's all there is to it: the carpentry workshop that once specialised in timber materials, is transformed in an instant into a company that can also offer modern stone products as well. HI-MACS® brings so many great features. Quality is the highest precision. The HI-MACS® quality process guarantees best in class size tolerances. Excellent heat-resistance thanks to Thermalcure-technology. Easy to sand thanks to Thermalcure-technology. In line with EN/ISO 16000 HI-MACS® does not produce any emissions during fabrication, manufacturing and use. 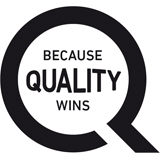 Quality is providing the best manuals in the market. The HI-MACS® fabrication manual is the best-in-class technical documentation. Quality is your membership to the Quality Club. The HI-MACS® Quality-Club offers the best opportunity to supply quality workmanship. The members of the HI-MACS® Quality Club are our closest partners when it comes to working with the material and experiencing its tangible benefits. Certify your fabrication expertise by taking part in our Training Programme and become a HI-MACS® Quality Club Member. Join the HI-MACS® Quality Club!